We recommend checking out our discussion threads on the Leica X Vario Digital Camera 18430 Black, which address similar problems with connecting and setting up Point & Shoot Cameras Leica. The user manual for the Leica X Vario Digital Camera 18430 Black provides necessary instructions for the proper use of the product Photography - Digital Cameras - Point & Shoot Cameras. The black X Vario Digital Camera from Leica is a point-and-shoot camera featuring a 16.1MP APS-C CMOS image sensor for clear, detailed images, even in low-light due to its top sensitivity of ISO 12500. 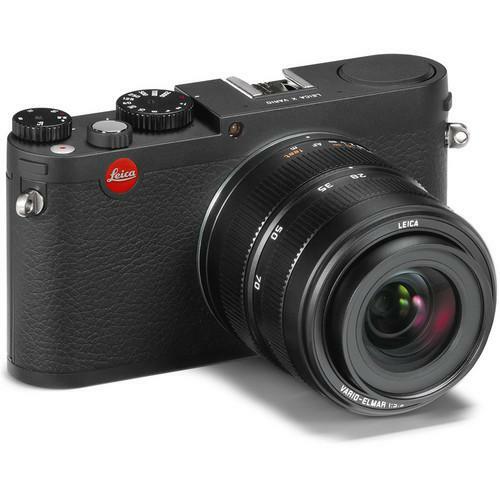 The built-in Leica Vario-Elmar 18-46mm f/3.5-5.6 ASPH lens provides a 35mm-equivalent focal length range of 28-70mm, covering wide-angle to short telephoto perspectives and incorporates two aspherical elements within its design to reduce aberrations throughout the zoom range. Frame shots using the large 3.0" wide-angle LCD monitor, which has a resolution of 920k pixels. The camera also offers a Leica EVF socket for connecting an optional electronic viewfinder. Record HD 1080 video at 30fps while capturing clear audio, thanks to the integrated wind-cut filter. Movie recording can be started and stopped easily at the touch of a button. Later, view your creations on a larger screen via the integrated HDMI-out port. The camera provides fast, precise, and virtually silent AF and has a focusing ring that allows for quick switching between auto and manual focus. You also have access to manual exposure for a high level of control over your imagery. The Leica X Vario is equipped with a built-in flash and configured with a hot shoe for attaching an optional external flash unit. The camera is made in Germany from aluminum and magnesium alloys and trimmed with soft leather. A free download of Adobe Photoshop Lightroom is available after registration. If you own a Leica point & shoot cameras and have a user manual in electronic form, you can upload it to this website using the link on the right side of the screen. Box Dimensions (LxWxH) 8.8 x 8.5 x 6.6"
The user manual for the Leica X Vario Digital Camera 18430 Black can be downloaded in .pdf format if it did not come with your new point & shoot cameras, although the seller is required to supply one. It is also quite common that customers throw out the user manual with the box, or put the CD away somewhere and then can’t find it. That’s why we and other Leica users keep a unique electronic library for Leica point & shoot camerass, where you can use our link to download the user manual for the Leica X Vario Digital Camera 18430 Black. The user manual lists all of the functions of the Leica X Vario Digital Camera 18430 Black, all the basic and advanced features and tells you how to use the point & shoot cameras. The manual also provides troubleshooting for common problems. Even greater detail is provided by the service manual, which is not typically shipped with the product, but which can often be downloaded from Leica service. If you want to help expand our database, you can upload a link to this website to download a user manual or service manual, ideally in .pdf format. These pages are created by you – users of the Leica X Vario Digital Camera 18430 Black. 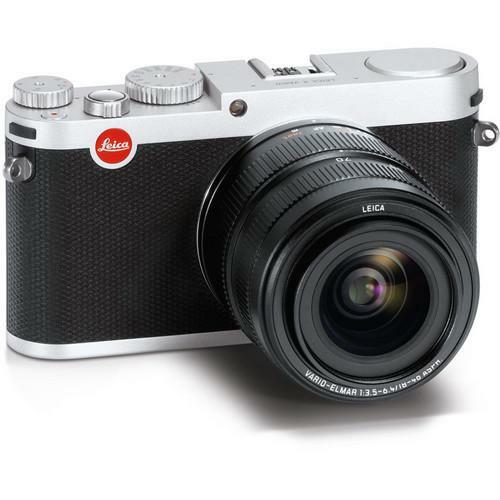 User manuals are also available on the Leica website under Photography - Digital Cameras - Point & Shoot Cameras.